Seniors ~ This is it! Welcome to the Crosby Scholars Senior Program. High school juniors who complete the requirements of the Junior Program, including attending a Mandatory Rising Senior Meeting, are eligible to become senior Crosby Scholars. Scholars begin the Senior Program by meeting individually with a staff summer counselor at a Mandatory Senior Meeting during the summer prior to their senior year. A slide detailing this meeting is included in the powerpoint presentation from the Mandatory Rising Senior Meeting, and a description is included on the list of senior program requirements posted in the Crosby portal. Scholars who do not attend this meeting are dismissed from the Program. As active participants in the Senior Program, scholars must comply with the Partnership Agreement and complete the Senior Program requirements. Scholars who complete the Senior Program receive a special designation on their transcript and in their graduation program. They are honored at a Senior Gala in the spring and given the opportunity to apply for Last Dollar Grant funding. Seniors are required to attend two Crosby Senior Academies (CSA), which are offered during the summer and throughout the school year. Topics range from preparing for the ACT and SAT to completing the FAFSA. Online registration is required through the Crosby Scholars Student Portal. Within a few days following an academy, seniors can check their Academy status through their student portal. Seniors who have a question on the day of the academy outside of office hours may call Jenniffer Jamison at 704-380-0559. Click Community Service Form 2019-2020 to download a community service form for the 2019-20 school year! Crosby Scholars are required to complete two hours of community service, although five are recommended. Scholars must submit a form documenting their hours that includes a signature of the person in charge of the service activity by the deadline noted above. The form can be submitted various ways: turn it in to your school counseling office; drop it off at the Crosby Scholars office; upload the form to the My Documents page (drop down of My Crosby page) of your Crosby Scholars student portal; take a picture of the form and email it to info@crosbyscholarsiredell.org; fax it to 704.873.4891; send via US mail. 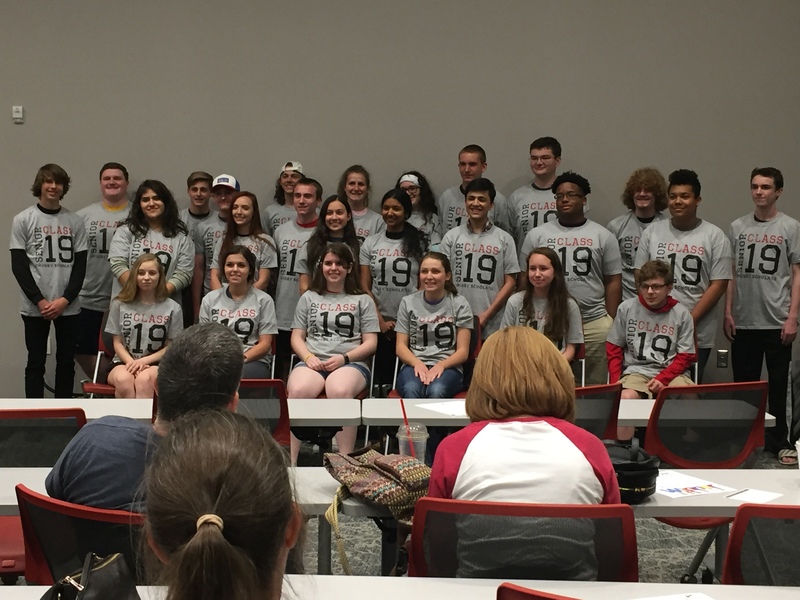 Scholars who completed the Crosby Scholars Program during the previous school year may count hours volunteered after the previous year's deadline, including summer volunteer hours, toward the following school year's requirement. Community service must be performed with a non-profit agency or be an activity that benefits a non-profit agency. The volunteer commitment can be fulfilled through scouts, school clubs, civic organizations, and/or certain church activities. While membership in a club or organization does not count as service, volunteering in the community in a club-sponsored activity does. For example, being a member of a youth choir doesn't count, but singing at a nursing home with the choir qualifies as service hours. If you have questions about whether your community service idea meets the requirement for the Program, please contact Crosby Scholars at 704.873.5005. Crosby Scholars Program staff reserves the right to determine if a community service activity fulfills our requirement. The most popular way to fulfill this requirement is to attend the local college fair. The Senior Program publishes a monthly newsletter called destinationcollege2019. It is published monthly for Crosby Scholars in the Class of 2019 to keep them informed of activities, deadlines, and announcements. Each newsletter offers appropriate advice and assistance for a specific month. Newsletters are posted on this website and in the Crosby Scholars student portal. The link to the newsletter is e-mailed to senior parents and Senior Advisors. Scholarships. The Crosby Scholars Program offers several scholarships and awards. As each scholarship application becomes available, it is posted in the Crosby senior portal. The complete list of Scholarship opportunities for seniors will be released in January. Reach each description carefully for instructions on applying, including what documents to upload. Last Dollar Grant. The Crosby Scholars Last Dollar Grant is need-based financial aid. Scholars must demonstrate not only financial need but also remaining need after the school of choice has awarded aid. For more information, follow the link to the Last Dollar Grant page. Other scholarships. Students can begin by researching institutional scholarships offered at the colleges where they plan to apply. The financial aid web page of every college lists scholarships unique to their school and the qualifications necessary for consideration. 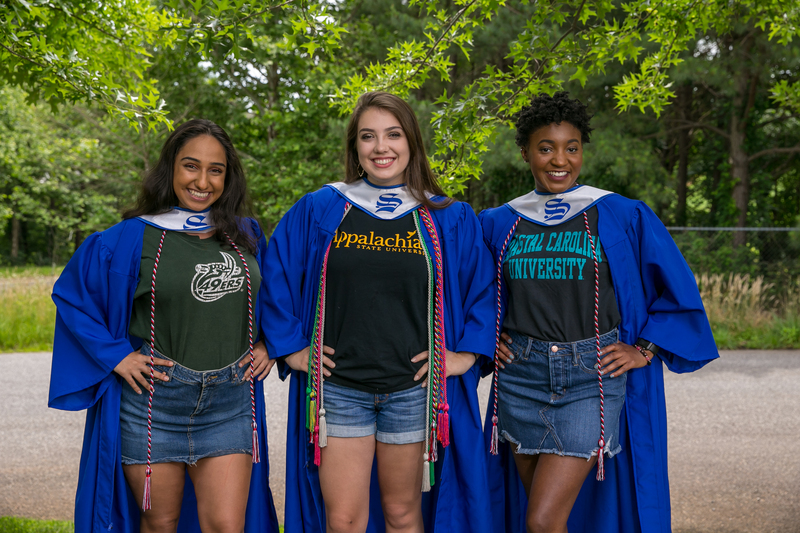 Crosby Scholars provides a link to the scholarships page of all colleges in North Carolina and lists them in the senior portal as well. Students applying to schools in other states can easily locate this information on their web pages. Every high school in the Iredell Statesville School System has a school counselor designated to serve as the scholarship coordinator. Seniors should make sure they know who is in charge of scholarships and how to access their high school's scholarship newsletter. High schools provide information on local, state and national scholarships. The first step to applying for financial aid is completing the Free Application for Federal Student Aid (FAFSA), which opens online October 1 annually. It is important to submit the FAFSA as early as possible. Every college has a priority filing deadline for filing the FAFSA, and students who meet the deadline receive first consideration for aid. Follow these steps to the financial aid process and then review these Helpful Hints. The 2018-2019 Senior Financial Aid Timeline For Success is posted in the student portal. While all colleges require the FAFSA, some schools also request the College Scholarship Service (CSS) PROFILE, which is the institution's analysis of the family's financial circumstances. Unlike the FAFSA, the PROFILE costs $25 for the first application and $16 for each additional one. College costs vary widely, and the sticker price at some schools discourages students from applying because they are convinced they couldn't afford to attend. However, the only way to discover the true cost of attendance is to submit the FAFSA and review the school's financial aid package upon receipt. Private colleges with large price tags frequently provide merit aid that makes their overall cost comparable to, or in some instances, more affordable than, public universities. Outside scholarships can further reduce the cost, depending on how they are factored into the aid package. Students should ALWAYS check with the financial aid office to determine how private scholarship funds will affect other aid they were offered. Ultimately, students and families are best served by waiting until they compare all financial aid packages before deciding which college is the best choice financially. The IRS Data Retrieval Tool is up and running. Read this blog post by NCAN to find out more about the updates: The IRS DRT is Ready for FAFSA Season – Are You? Need help comparing your Financial Aid Award Letters? Check out this Compare your Aid Award tool from College Board & Big Future. The Last Dollar Grant application and instructions on how to complete the application will be posted in your Crosby portal in the spring. Read these instructions before starting your LDG application. The LDG application deadline is May 15. Scholars are notified of our decision by letter posted in their Crosby portal beginning in July. An award is made payable to the institution and is sent directly to the institution to be credited to the scholar's account. The first half of the award is mailed after August 1 and is to be used for the fall semester. The second half of the award is mailed upon receipt of the scholar’s fall semester grades and is to be used for the spring semester. You are responsible for submitting your grades at the end of each semester. You do not have to submit an official college transcript. Submitting a copy of your grades printed from your college account is acceptable provided it includes your cumulative GPA.